Two years have passed since Operation Protective Edge – the most lethal round of hostilities in the Gaza Strip yet. In its wake, dozens of countries pledged to help reconstruct the Strip, with the supposed blessing and support of Israel. The official goal was to rebuild what had been destroyed and help promote economic recovery for the benefit of local residents, in an effort to achieve long-term stability in the region. Now is a good time to take stock and ask – has there been any improvement in the lives of Gaza residents? Do people have hope for the future? 1. Construction materials have come in to Gaza over the course of these two years, in order to begin rebuilding the roughly 11,000 housing units that were completely destroyed, the 6,800 that were rendered uninhabitable and the more than 150,000 homes that were damaged during the operation. In addition, construction materials have entered Gaza to rebuild commercial buildings, industrial structures, infrastructure and more. 2. The situation for residents of Gaza remains dire. Unemployment rates remain extremely high, infrastructure remains woefully insufficient, the economy is sputtering, and the isolation from the West Bank and the rest of the world continues, with the ability to travel severely curtailed. About 75,000 individuals remain displaced. Desperation is pervasive. 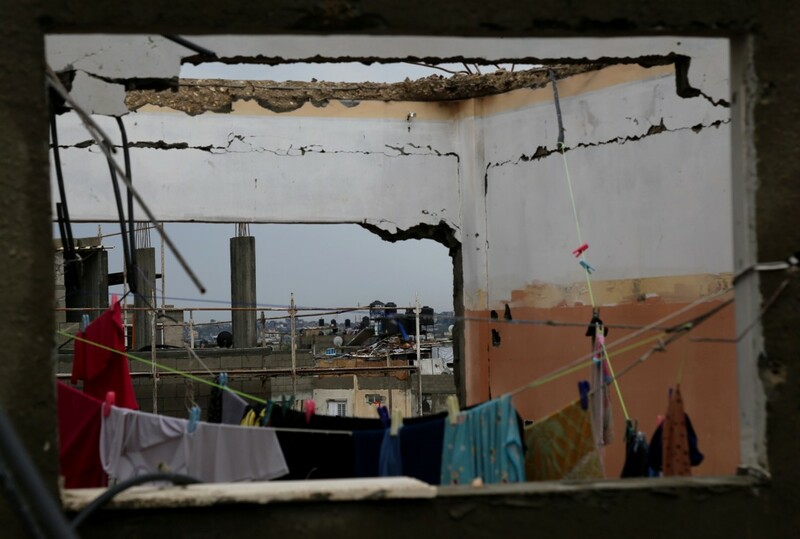 Over the past two years, attention has focused mainly on the physical reconstruction of Gaza, in terms of repairs to buildings and the reconstruction of new housing units for tens of thousands of people who lost their homes in the fighting. Monitoring the quantities of construction material coming through and the pace of construction have taken center stage in reports about the aftermath of the operation. Meanwhile, too few questions are being asked about Israel’s inconsistent and unclear policy with respect to Gaza and what steps could have been taken to improve life on the ground, such as facilitating entrance of goods to Gaza or expanding what kinds of products can be sold from the Strip to the West Bank and Israel. In contrast to positive rhetoric on the need for recovery, we note several recent examples of distinctly punitive actions that clearly harm those efforts: An increase in the number of individuals being ‘security blocked’ (when already so few meet the stringent criteria for travel through Erez), a block on mail services, and a ban on entry of construction materials to name a few. Israel continues to implement its general prohibition on travel between the parts of the Palestinian territory, the West Bank and the Gaza Strip, with few exceptions, and travel options for Gaza residents remain limited. The Rafah border crossing into Egypt also remains mostly closed and every day, tens of thousands who await passage via the crossing to third countries miss opportunities to start jobs, study in academic programs or reunite with relatives abroad. Israel imposes severe restrictions on the entry of items on a “dual-use” list it manages without consistency or transparency. The list includes inputs for industry needed to drive the economy and items that are needed to rebuild factories, as well as electrical, water and sanitation infrastructure. The alarming gap between the statements of top security officials who have voiced support for Gaza’s economic recovery as an Israeli security interest and the unsatisfactory implementation of policy change to allow it to happen was summed up in a recent op-ed published in Haaretz just before the Israeli-Turkish agreement was signed. Senior military and political officials have been saying for two years that Israel’s security depends on the rehabilitation of Gaza. The mistake most have made is to refer narrowly to rebuilding what was physically destroyed in the course of 50 days of Operation Protective Edge. Real rehabilitation would include connecting Gaza to the West Bank and allowing people to thrive instead of just survive. Since the end of the military operation, 915,000 tons of cement and 126,000 tons of steel entered the Strip. Gravel or aggregate, another basic construction material, was removed from the dual-use list in late October 2015 and its entrance is no longer restricted. The materials that entered came in to rebuild and repair water and sewage infrastructure, roads and factories, as well as homes, schools, clinics and internationally funded large-scale projects that had already been in process before the fighting. On the one hand, the amount that has entered has been significant; on the other, it represents a fraction of cumulative need, coming on the heels of years of restrictions on entrance of construction materials and three major military operations. In an appendix to this document, we provide detailed information about the pace of construction in Gaza and the challenges involved therein. Much of the money promised for Gaza’s physical reconstruction by donor countries has still not come in, while the internal Palestinian political rift has further undermined confidence and the willingness of donors to meet their pledges. 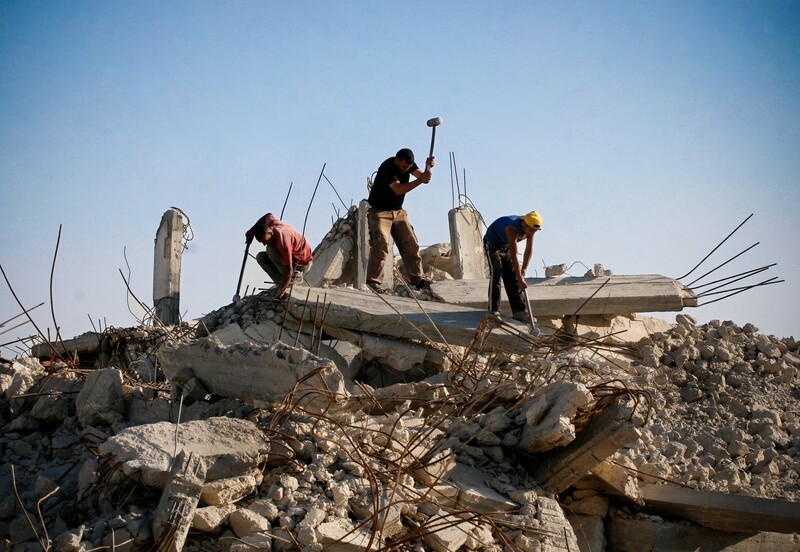 The mechanism on which Israel conditions entry of construction materials, set up in cooperation with the Palestinian Authority and under United Nations supervision, the Gaza Reconstruction Mechanism (GRM), is not fool proof – as the Israeli military itself has admitted (Hebrew). It fails to completely prevent cement from reaching the black market and does not monitor materials that enter via Egypt through Rafah Crossing. The GRM does, however, increase the cost of building and slows down the rebuilding process. Recently, Israel blocked the entry of cement for six weeks following reports of materials being syphoned to the black market. The shortage that followed led to a near freeze on construction, delaying projects and costing thousands of jobs in the sector. Following the military operation, Israel announced policy changes that would enable some sale of goods originating in Gaza to the West Bank and Israel. Over time, however, Israel introduced new restrictions that thwarted the efforts made by businesspeople, factory owners, suppliers and manufacturers to drive manufacturing and the sale of goods outside the Strip. The volume of outgoing trucks from Gaza to the West Bank, Israel and abroad over the past two years was about 12% of what it was before the closure was imposed in 2007. Prior to June 2007, approximately 85% of all goods shipped out of Gaza were sold in Israel and the West Bank, with Israel being the main market for Gaza products, yet to this day, access for Gaza products to the Israeli markets remains minimal. In the first half of 2016, the volume of exiting goods reached 16% of what it was before the closure, pointing to a measure of progress but still far from the mark. From November 2014 – June 2016, a total of 1,269 trucks of agricultural produce exited Gaza for the West Bank; 573 truckloads of eggplants, tomatoes and scrap metal exited for Israel (as well as a single truckload of furniture); and 512 trucks of agricultural produce were exported abroad. In total, this is the equivalent of about 127 truckloads per month, compared to 1,064 trucks per month that exited for all destinations before the closure. Israel must allow Gaza’s private sector to renew ties and increase business with the West Bank and Israel. 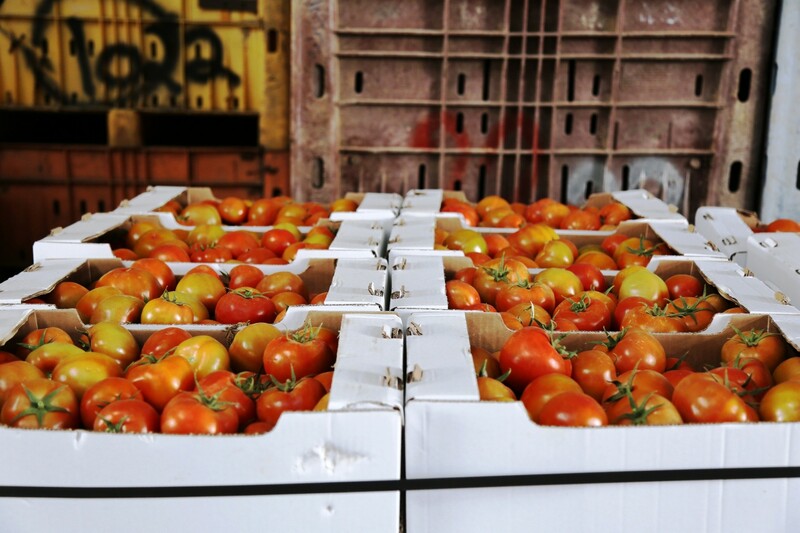 It must allow farmers to send a larger variety of produce to Israel – for the benefit of Israeli consumers as well. The Israeli Ministry of Agriculture has thus far refused (Hebrew) to increase the volume of Gaza produce sold in Israel, even when demand in Israel would have warranted it. At the beginning of this year, as it has in the past, Israel also damaged crops and farmland inside the Gaza Strip when it sprayed herbicides along the border areas. In the framework of “easings” in access policy, the Coordinator of Government Activities in the Territories (COGAT) announced it would allow the sale of Gaza-made furniture in Israel. The furniture sector could have benefitted from the change in policy, which came with permission to sell in the West Bank as well. However, the decision coincided with a COGAT notice that wood planks thicker than one centimeter would be banned for entry into Gaza (together with wood lacquers and glue) thus dealing a severe blow to the sector. The movement of goods to and from Gaza is currently being threatened by the decision of Transportation Minister Yisrael Katz to restrict truck traffic en route to Kerem Shalom Crossing, in response to complaints made by residents of Israel’s south. Minister Katz’s directive was issued despite the conflicting opinion of the general director of the Ministry of Defense, who cautioned his counterpart at the Ministry of Transportation that restricting travel on the road to Gaza’s sole commercial crossing would “harm reconstruction and the humanitarian situation in Gaza”. The decision is currently on hold following a court petition submitted by the Israeli Council of Transporters and Carriers. When reports about Katz’s decision appeared in the media, then Minister of Defense Moshe Ya’alon announced that he had ordered Erez Crossing (currently open to transit of pedestrians only) to be outfitted for shipment of goods. Regardless of the situation on the road to Kerem Shalom, an additional commercial crossing in the northern Gaza Strip would be vital for efforts to rehabilitate or grow Gaza’s economy. Unlike for movement of goods, the criteria for individual travel has remained mostly unchanged since Operation Protective Edge. As a gesture, Israel introduced a quota for older adults who may travel from the Strip for a few hours on Fridays, via shuttle, to pray in Jerusalem. The quota on travel by traders was ostensibly expanded, but hundreds have since been blocked for travel due to ‘security preclusions’. Restrictions on travel by medical patients for treatment in the West Bank or Israel have also intensified. Israel announced it would allow Gaza residents to travel abroad via Allenby Bridge without restriction, subject to signing a pledge not to return to the Gaza Strip for at least a year. On the other hand, it further restricted entry by Israeli citizens into the Strip. A report by Gisha shows how travel restrictions harm the vital work of dozens of civil society organizations that promote issues such as gender equality and human rights. It is difficult to understand what security Israel’s reaps from undermining civil society in Gaza. 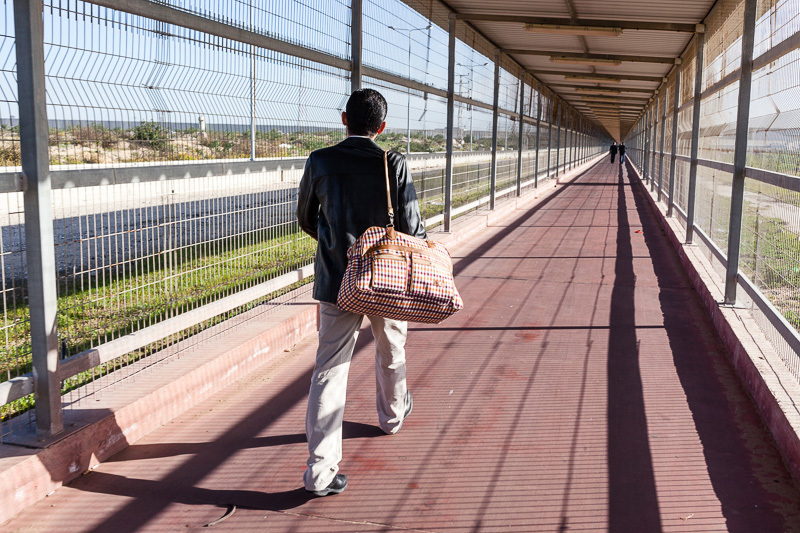 The increase in the number of exits from Gaza through Erez Crossing, while important, doesn’t nearly compensate for the frequent closure of Rafah Crossing, which, in the past, served as Gaza’s main gateway to the outside world. In the six months that preceded the regime change in Egypt in the summer of 2013, more than 40,000 exits and entries were recorded at Rafah every month. In the first half of 2016, a total of 11,376 entries and exits were recorded. Tens of thousands of people who wish to travel from the Strip for work, study, to receive medical treatment or reunite with relatives abroad remain trapped in Gaza. Real recovery in Gaza would mean both repairing the physical destruction caused during fifty days of fighting two years ago and during previous military operations, but also giving residents a chance to carve out a future in which they can fulfill their human and economic potential. Supporting civil society, the private sector, families and communities is the only way to fulfill the basic tenet promoted by Israel’s own security establishment that well-being in Gaza means well-being in Israel. Yet, time and again, the way in which access policy is implemented betrays this goal to the detriment of all. Various extensive and sweeping restrictions on movement of the kind detailed here and which have nothing to do with security must be lifted immediately. Gaza residents, like all other human beings, are entitled to security, stability, and development. They are entitled to lead normal lives and to live in dignity.